Mary Elizabeth Simons McCrea, 83, of Draper, Utah passed away on Friday, November 4, 2016 at 12:30pm. Mary was born in Ellensburg, Washington to Major Orrawell Simons and Evelyn Horne Simons. She graduated from Pittsburg High School in 1950 and from the University of California, Berkely in 1954. Mary worked at Capwells in California, and as a secretary for Deseret Book in Utah. Most notably, Mary served in the family history library for 20 years. She was also a member of the Daughters of the Utah Pioneers, and served in several church callings in various capacities. Mary is preceded in death by her mother and father, husband Robert Chester McCrea, brother Marlton Simons, and many aunts, uncles, and cousins. Mary is survived by her daughter Karen Michelle Worton, sons Brian Lee McCrea and Michael Robert McCrea, step-daughter Sherryl Kelly, brothers Calvin Simons and Harold Simons, 9 grandchildren, 26 great-grandchildren, 5 step-grandchildren, and 8 stepgreat-grandchildren. A viewing will be held in her honor at the North Ogden 8th LDS Ward, 1150 East 2600 North, North Ogden, Utah on Friday, November 11, 2016 from 10:30-11:45 AM with a funeral service to follow at 12PM. The family would like to thank the doctors and nurses at Intermountain Riverton Hospital as well as the staff at Intermountain Hospice for their compassion and care while taking care of Mary. 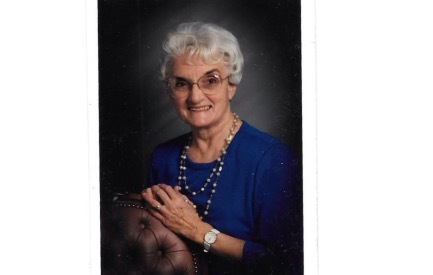 Flowers may be sent to Kramer Family Funeral Home, 2500 S Decker Lake Boulevard, Suite 1, West Valley City, UT 84119.